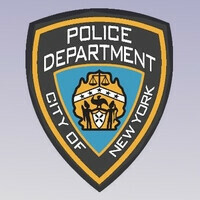 A sting police operation on the hunt for resellers of stolen merchandize took place in New York City last week. Long story short, undercover police officers offered allegedly stolen electronics to businesses that were suspected of such mischief. And what kind of gadgets did they use to lure the bad guys? Why, iPhones and iPads, of course – the most sought after pieces of gadgetry on the black market. The undercover police officers offered the iPads and iPhones at tempting prices ranging from $50 to $200, and apparently, quite a lot of people fell for it. As a result, as much as 141 people were arrested over the course of three days and charged with criminal possession of stolen property. No further details about the operation have been disclosed, so it is not quite clear whether all the people who were arrested were business owners or were responsible for other parts of the re-selling business instead. People are so stupid. I NEVER had the inclination to steal anything. Why people do that is beyond me. People are just lazy & sad to ever get into that type of business. Some people in this world have nothing better to offer & use their minds to devise ways to be corrupt & be a disservice to society. If they would only use that cunning for good maybe they would not be in a situation that makes them come up with ways to steal or be unproductive in society. It’s very sad that people choose to live that way. mer·chan·dize [MUR-chuhn-dahyz] noun 1.stolen goods sold by boyz. Was watching an old episode of "The Simpsons" and they used the same type of scam saying people got a free boat at the police station then arrested them. Idiots fall for this crap.